Throughout his musical career, Luther Russell has been many things, but predictable is not one of them. Since going solo in the late 1990s (after leaving the Freewheelers), he has flirted with funk and soul music, power pop, punk rock and even hints of blues. The proof of this eclectic resume is all over the stunning two-disc anthology “Selective Memories.” The set also includes Russell’s work with the Freewheelers and The Bootheels). 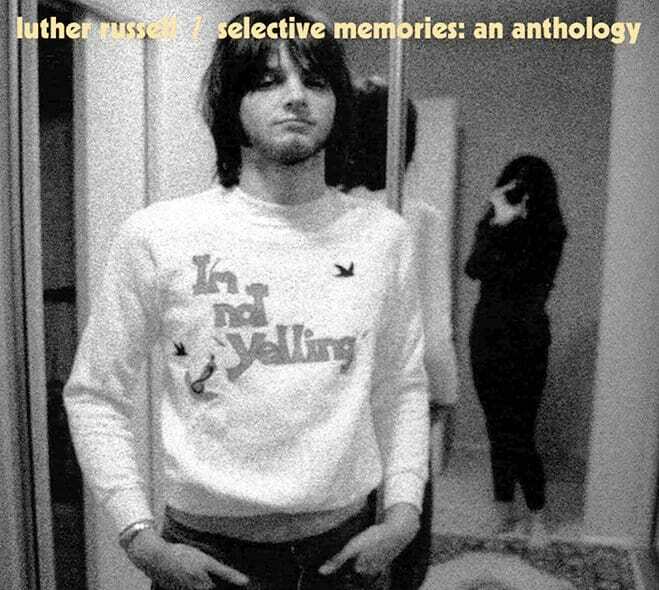 This retrospective manages to serve both newcomers and longtime fans, offering the uninitiated a chance to learn about one of rock’s best kept secrets and longtime Russell acolytes a best of and rarities collection all in one set. Among the highlights here – and there are many – are the infectious power pop ditty “Arthur Lee” and “Black Leather Coat,” which sounds like a mix between harry Nilsson and Freedy Johnston. Digging deep into the archives, 25 of the 41 tracks here have never been releases before including two early demos from Russell’s teenage band The Bootheels (Jakob Dylan was a member of that group, as well). It’s stunning, listening to these songs, to thin that Russell is not a household name across the globe at this point. Among many other things, “Selective Memories” serves as a testament of just how unfair the music world is, and has been for decades. Russell is still busy writing and performing, having penned two songs for Weezer’s 2016 record; performed as part of the Big Star Third live tribute album; as well as putting out a record as part of Those Pretty Wrongs, alongside Big Star drummer Jody Stephens. Hopefully the release of this anthology marks a full comeback as a solo artist, as well.